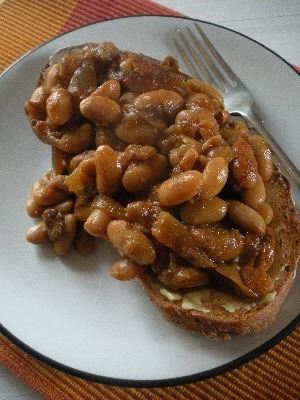 On New Year’s Day, we had a bean feast. Now, while I’d like to say that this was because of the Italian tradition of eating lentils for the New Year to bring wealth and prosperity, the truth is a little more prosaic. The Little Brother was imminently arriving with the Bandon Lass and there was a mad scramble as I searched for something that we could eat for lunch. It all came together quickly: there was a block of slow-cooked black beans in the freezer, cornmeal in the pantry to make gluten-free cornbread fritters (she’s coeliac), fresh chicory and Brussels sprouts to shred and turn into a big bowl of ‘slaw with a maple-mustard dressing. There’s always food – it’s just about trying to find the bits and pieces that fit together! After all the excess of a chilling-and-eating-at-home post-Christmas week, this simple, freezer and pantry-focused meal hit the spot. Later that week, the Little Brother and the Bandon Lass headed back to Vancouver. She was returning to her job, he was on a job hunt, the effort somewhat offset by the fact that he had a season-long ski pass already in his pocket. It being January, I reckon there’s a lot of people – both employed and unemployed – looking for similar cheap – and tasty! – ideas to feed them. Here are a few favourites from my archives. This is what we ate on New Year’s Day. It’s a very basic slow cooker bean stew. 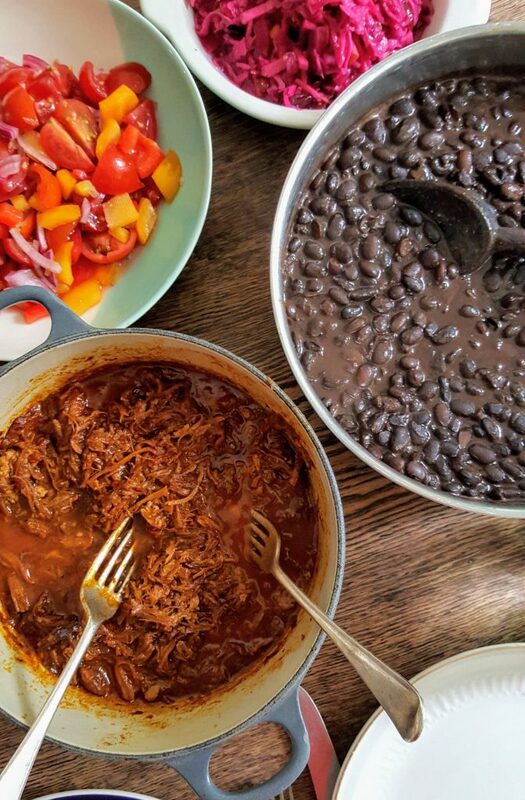 If you don’t have a slow cooker, just simmer the beans in a large pot until they are cooked, which takes about an hour depending on the age of the beans. It’s a recipe that can be changed up to your own tastes – I often add chopped bacon or a ham hock at the beginning, a chunk of dark chocolate and lots of freshly ground black pepper towards the end. 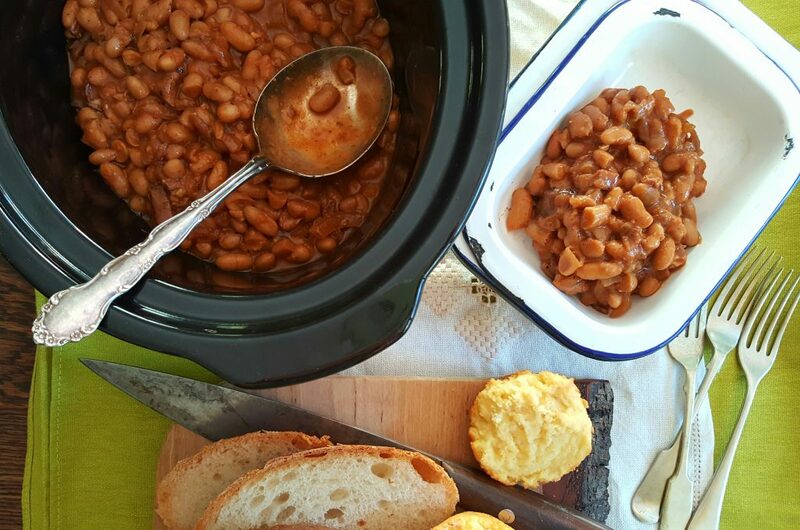 Baked beans are a constant in our house, especially when I have the presence of mind to throw these ingredients into the slow cooker first thing in the morning so that I can come home to a warming dinner. A list of easy tips for cooking dried beans and the best recipe for a stew involving chickpeas, lamb and lentils. No slow cooker? No problem. This dish will warm your house while it cooks – and the cockles of your soul when you eat it! 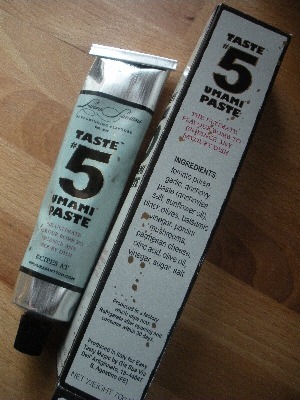 Our favourite umami-rich soup. If visitors are coming in the winter, I make a cauldron of this. With some good bread and a cheeseboard it makes for a very easy lunch. A simple protein- and iron-rich meal in a pot that’s especially good when you’re moving house with a toddler, there’s a first brew happening and you happen to fall down the stairs while pregnant. A comfort food veggie dish that you can turn vegan by leaving out the feta and drizzling with a tahini dressing instead. Homegrown squash is the focus for this soup but, when all your garden plans fail, you can sub in butternut and no one will be any the wiser. A well flavoured vegan soup that takes it’s inspiration from the well loved bowl of goodness that was a staple at Domini Kemp’s Itsabagel. This is a long term veggie favourite that tastes great when made in advance and is good natured enough to put up with being ferried to another house for dinner. Maximum flavour with minimum effort and well worth trying with Gubbeen Smokehouse cooking chorizo. A one-pot dish using dried haricot beans that, I’m thinking 14 years later, may be rather nice when made in my slow cooker. My cousin’s simple refried beans. Extra bonus points for flavour if you can get your hands on some decent lard. 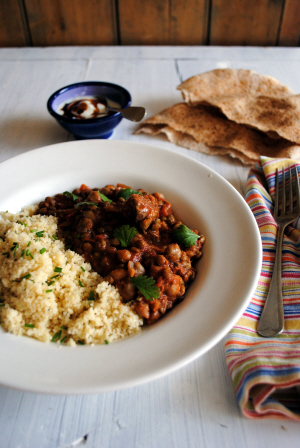 Small amount of meat, bulked out with chickpeas to fed large crowds of people – this lamb tagine is always a winner. 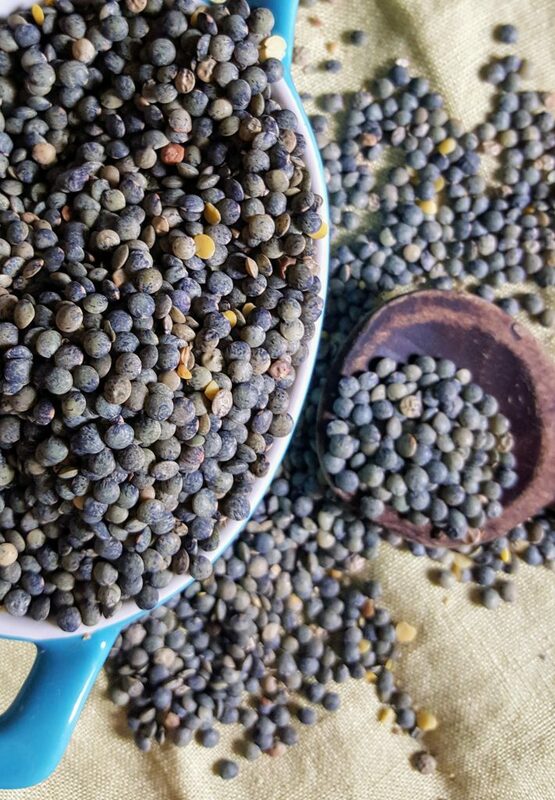 Take a bag of split peas – I always double this recipe and use green or yellow peas interchangeably – a ham hock or some random bits of meaty, hammy goodness, and simmer until you can’t bear to wait any longer. Where I riff on my obsession with all these tasty and cheap and filling and hearty ingredients.